This time though I want to skip all the tourist places and attractions I already saw in previous trips and want to finally tick off everything I had on my list, and that makes me think of a centenary park I discovered last summer thanks to a local –yes sometimes it’s best to avoid tourist attractions and head to the real places!- full of green and which offers stunning views of the city at your feet. 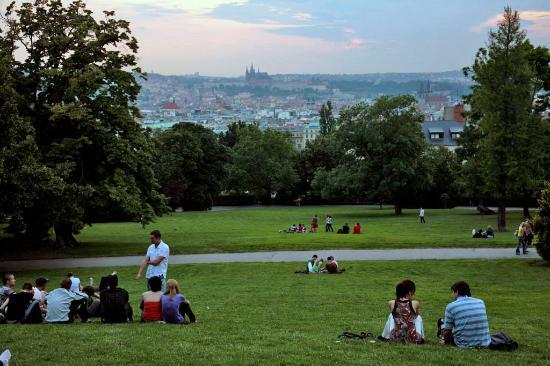 There are cobbled paths for those who go jogging or just walk around the park, benches so you can sit and enjoy the views, and a place to have a drink with a big screen playing either movies or sport games. This place was once a vineyard (hence the name of the neighborhood Vinohrady) and some of its old buildings are still around, such as the observation tower or the obelisk from 1840. This outdoor meeting place is a great option for a nice-weather day (I hope weather behaves this weekend). 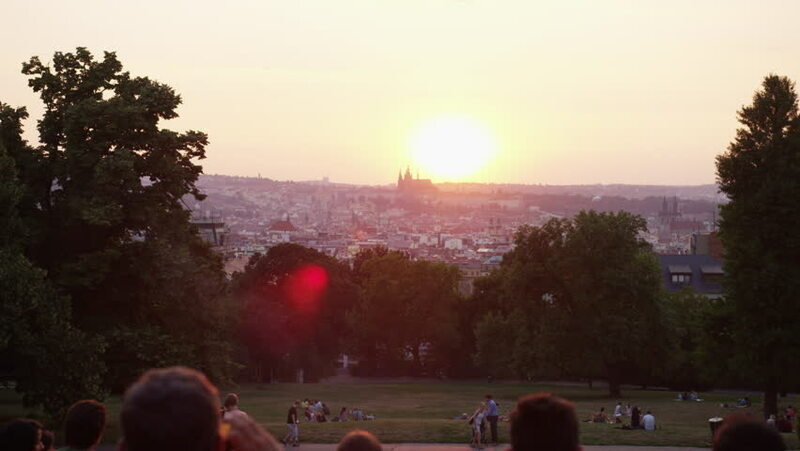 If you are lucky and visit this place on a sunny and warm day you can enjoy some sunbathing laying around the grass while watching Prague Castle, which is also a lovely view when the sun starts to go down. Apart from the sports screen with some drink stands, there is also a small restaurant and a café for those who feel like staying for dinner. What do you think ladies? Doesn't it look inviting?